WWYW (aka What Would You Wear) with Black Sequin Pants? Really. 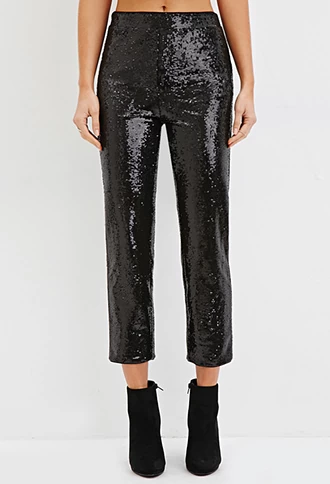 If given the task to style a pair of black sequined capris (this exact pair), how would you wear them? Last year, sequins and sparkle had a moment and they’re still here on the runway and the fashion week streets. And while you may think these should be reserved solely for a New Year’s Eve party in your future, it would be a shame for them to only see one night (not even a full day) of the year. I’m going to feature the above suggestion along with at least two others in an upcoming post, so channel your inner stylist and tell me how you would wear these pants! You just might see me wearing your look on the blog. Comment away, and happy styling!